The U.S. is a country that depends on its immigrants. This is especially true of our food system, where the people who plant, tend, harvest, process, prepare, sell, and serve our food are disproportionately immigrants, many here legally and others who have been unable to obtain required documentation. NAFTA and other unfair trade agreements have forced people to move from homes, traveling to seek economic opportunity. U.S. trade policy has restructured the global economy, but U.S. immigration policy hasn’t kept up with changing needs. One group of immigrants, commonly called Dreamers, is particularly vulnerable. 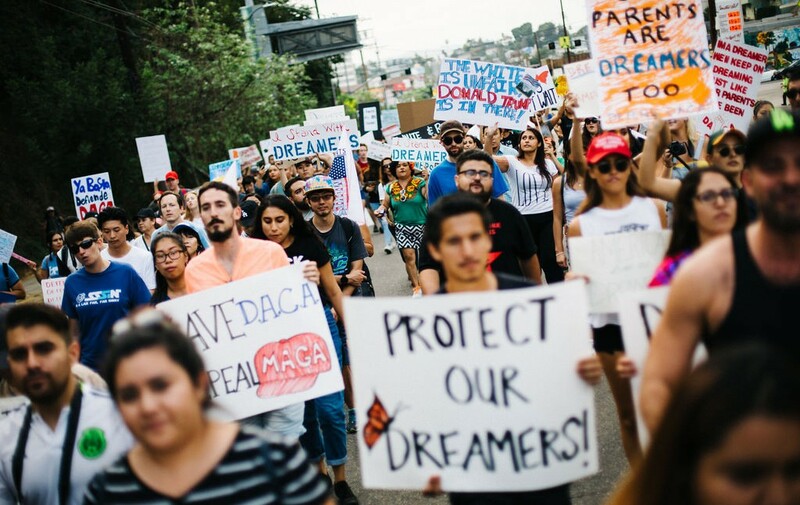 Dreamers are immigrants who came to the U.S. as children and are currently students or young workers who, under a program called DACA—Deferred Action for Childhood Arrivals, currently have papers that allow them to attend school or work in the country legally. Without further action to protect these Dreamers, thousands of young immigrants will lose their protection in March and face the real threat of deportation. Congress is currently looking at ways to protect Dreamers, some proposals have a protection bill attached to other pieces of legislation, making the process slower and less likely to pass. Congress Must Take Bold and Immediate Action to Protect Dreamers Now! Please feel free to edit the emails to your Senators and Representative. You can tell your own story and why this is an important issue to you. Dear Representative,<br><br>Our economy and our food system depend on immigrants. The young immigrants known as Dreamers are especially vulnerable right now, with the program designed to protect them set to expire.<br><br>I am writing today to ask you to take bold action to protect these young immigrants before the March deadline. <br><br>Thank you in advance for extending the protection to these Dreamers. Dear Senator,<br><br>Our economy and our food system depend on immigrants. The young immigrants known as Dreamers are especially vulnerable right now, with the program designed to protect them set to expire.<br><br>I am writing today to ask you to take bold action to protect these young immigrants before the March deadline. <br><br>Thank you in advance for extending the protection to these Dreamers. Take action to protect #Dreamers! Sorry, we're not able to contact any Senators or Representatives in your district. But, you can still help! Or by supporting other important actions by Fair World Project, or by making a tax deductible donation.